Please check our Facebook page for the most recent dates and times for auditions. Dates are also listed under FAQ. 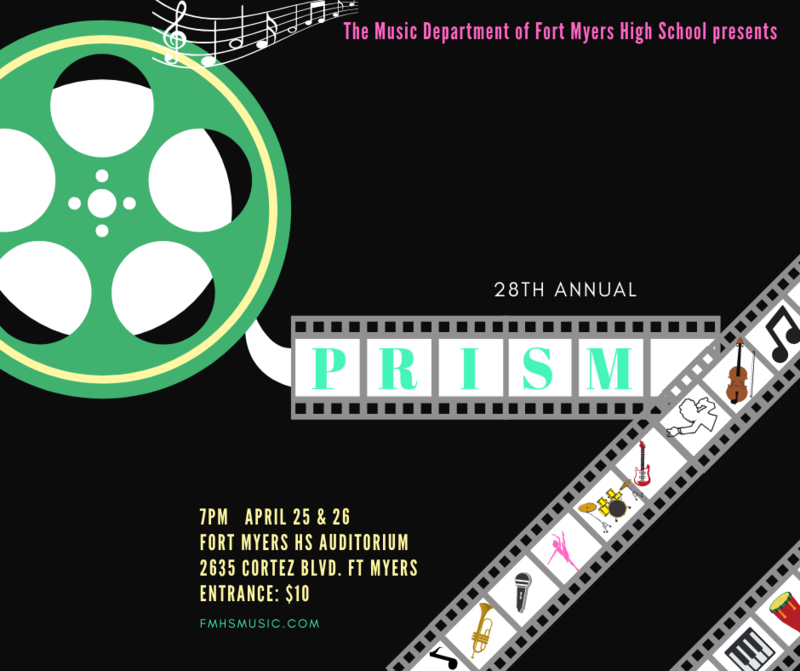 PRISM is an exciting concert featuring students from every music department. You will enjoy a different show each night. Tickets are just $10 or $15 for reserved seating/VIP. To purchase tickets see any music student. 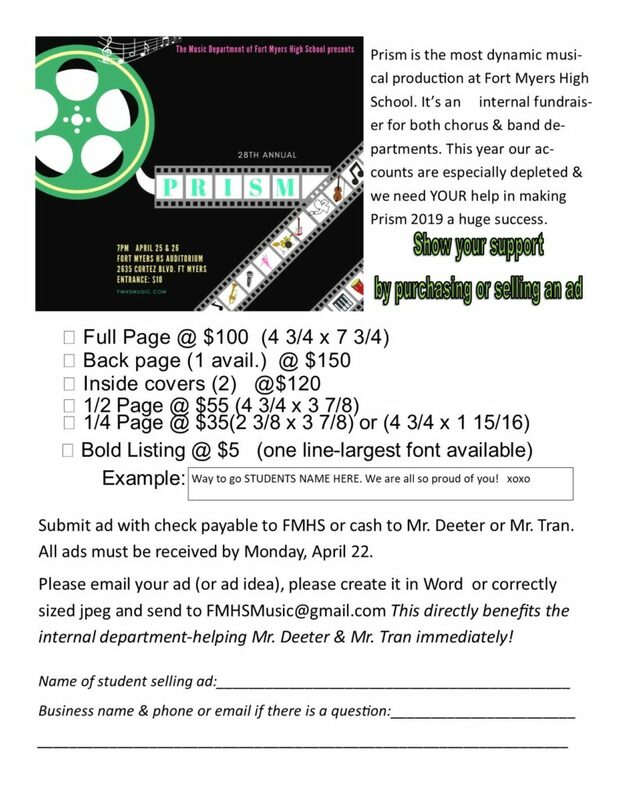 To purchase VIP tickets, please email FMHSMusic@gmail.com. All tickets are cash or check payable to Fort Myers High School. Our program features orchestra, color guard, concert band and wind ensemble too. Our Vocal Arts includes a premiere Chamber Choir, Greenwave Choir and Soundwave Choir. 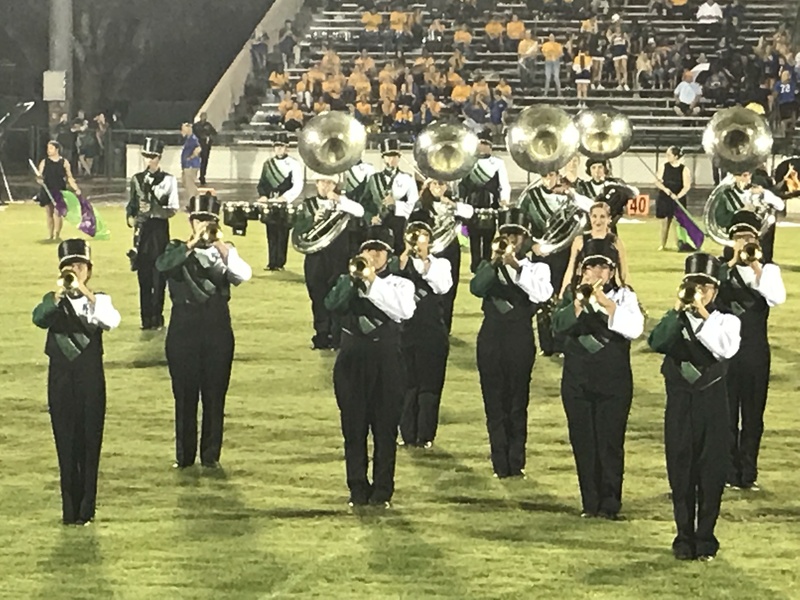 The Superior rated dance team performs at all football games, both in the stands and in the half time show. 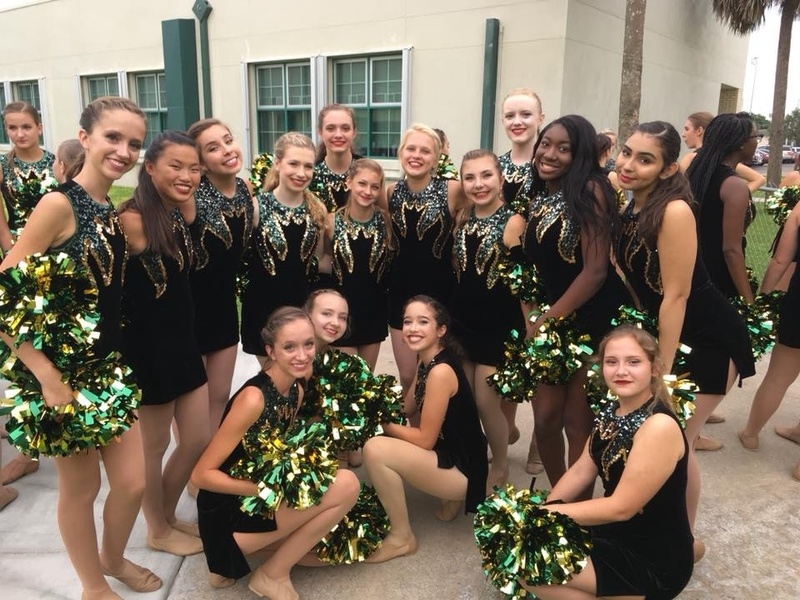 They also produce memorable routines at pep rallies as well as an annual recital in May. During their off season they hone their skills with solos, duets and small groups which are also taken to competitions. Fundraising is a vital part of the entire program. We currently are selling discount cards for local businesses for NEW LOW CLEARANCE PRICE OF $5. The cards can be used multiple times until August 2019 so they truly are a great value. 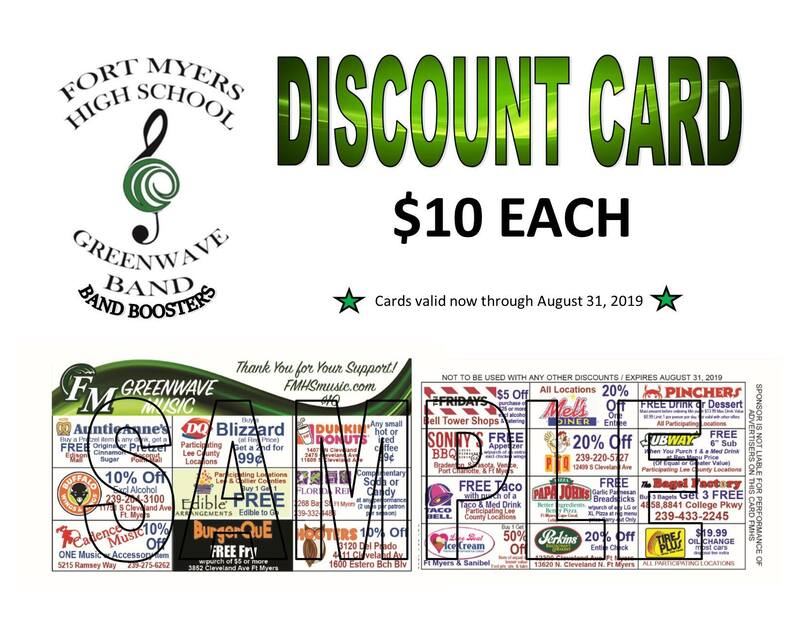 We also offer $10 PDQ gift cards that sell for $8. Won’t you join us for a restaurant night or a community concert?